After almost a two-month search, the Calgary Hitmen are no longer without a head coach as they gave the reins to Mark French. 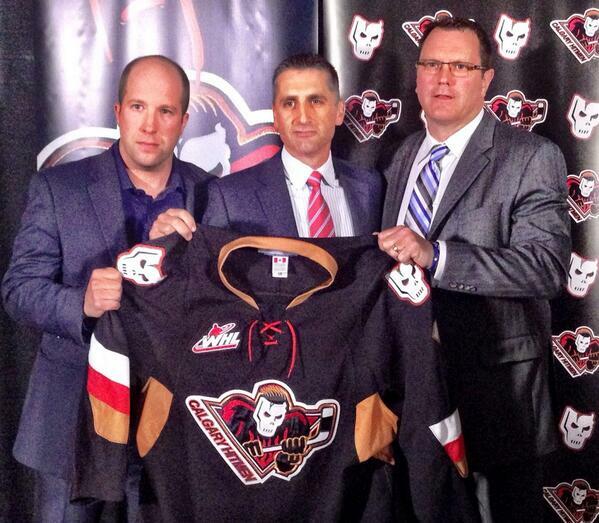 French left his position as the bench boss of the KHL’s Medveščak Zagreb to join the Hitmen. French, who’s a native of Milton, Ont., is looking forward to living in Canada again. He hasn't been a full-time resident in his home country in over a decade. Besides his lone season in the KHL, French has an additional 10-plus years of coaching experience. He spent two years as an assistant for the OHL’s North Bay Centennials and more notably won a Calder Cup with the Hershey Bears as a rookie AHL bench boss in 2010. French is coincidentally the second former head coach of the Bears to land a high-profile WHL gig in the last two weeks. The Saskatoon Blades named former Bears coach Bob Woods, who was French’s predecessor in Hershey, their new general manager and head coach a couple of weeks ago. French takes over from Mike Williamson, who was let go at the end of the season largely because Calgary underachieved in the post-season. The third-place Hitmen fell to the Kootenay Ice in the first round. Williamson, though, wasn’t unemployed for long as he was named the Tri-City Americans’ new bench boss in the middle of May. It’s tough to say what calibre of a team that French is taking over. Calgary’s three overagers – centre Brady Brassart and blueliners Alex Roach and Jaynen Rissling – were key contributors to their regular-season success last year. It also seems as though Ottawa Senators goalie prospect Chris Driedger will make the jump to the pros next year as a 20-year-old. The Hitmen, however, do still have a strong core of forwards built around top NHL draft prospect Jake Virtanen and Edmonton Oilers prospect Greg Chase. In addition to naming French their new head coach at the press conference, the Hitmen announced associate coach Brent Kisio will take on the assistant general manager duties.